In addition to our luxurious Wuxi accommodation, The Worldhotel Grand Juna is a strong believer in traditional and creative cuisine. 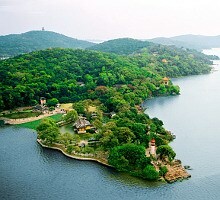 This 5-star hotel in Wuxi holds an excellent variety of three cosy restaurants and relaxing lounges. Treat yourself to a unique stay and receive miles in our participating hotels worldwide. Collect 500 miles with 24 global frequent flyer programs on many qualifying rates.